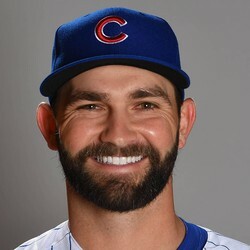 Tyler Chatwood will be getting the ball for Sunday's series finale against Arizona. This move pushed Jose Quintana's start back to Tuesday as a result. Chatwood's placement into the rotation was done because of how the Diamondbacks handle righties and how the Dodgers handle lefties. The NL Central is going to be a dogfight all year and every win matters, which is shown in this move. In six innings this year, Chatwood has allowed four earned runs, five walks, and struck out six.